4 The following are examples of the products we looked at in the RCRIM meeting. 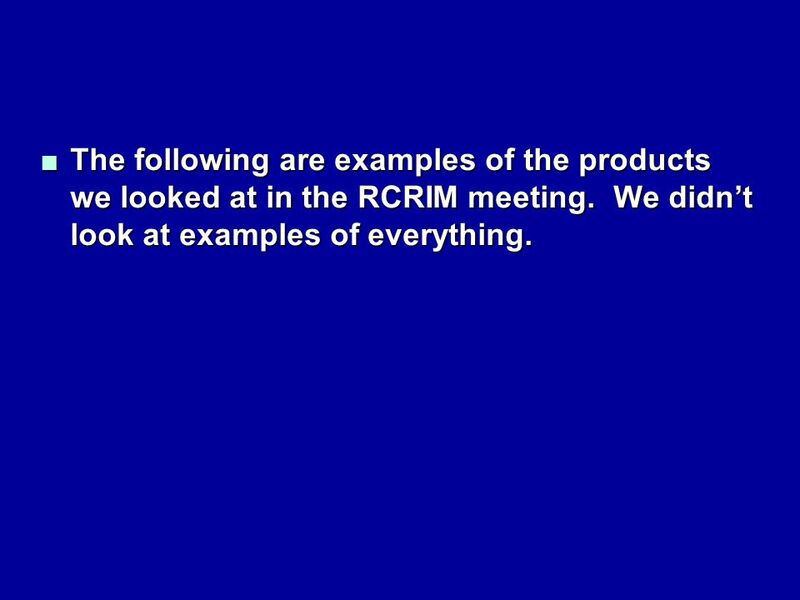 We didnt look at examples of everything.The following are examples of the products we looked at in the RCRIM meeting. We didnt look at examples of everything. 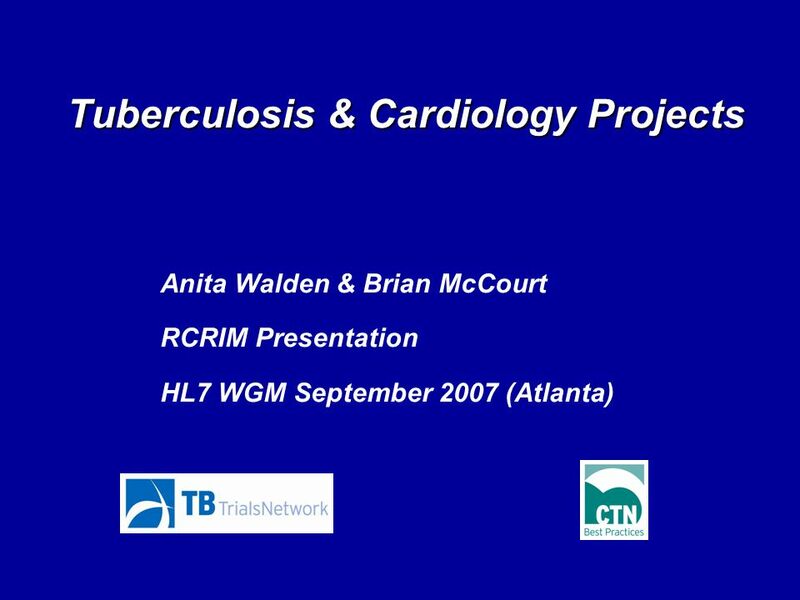 Download ppt "Tuberculosis & Cardiology Projects Anita Walden & Brian McCourt RCRIM Presentation HL7 WGM September 2007 (Atlanta)"
Introduction The cancerGrid metadata registry (cgMDR) has proved effective as a lightweight, desktop solution, interoperable with caDSR, targeted at the. 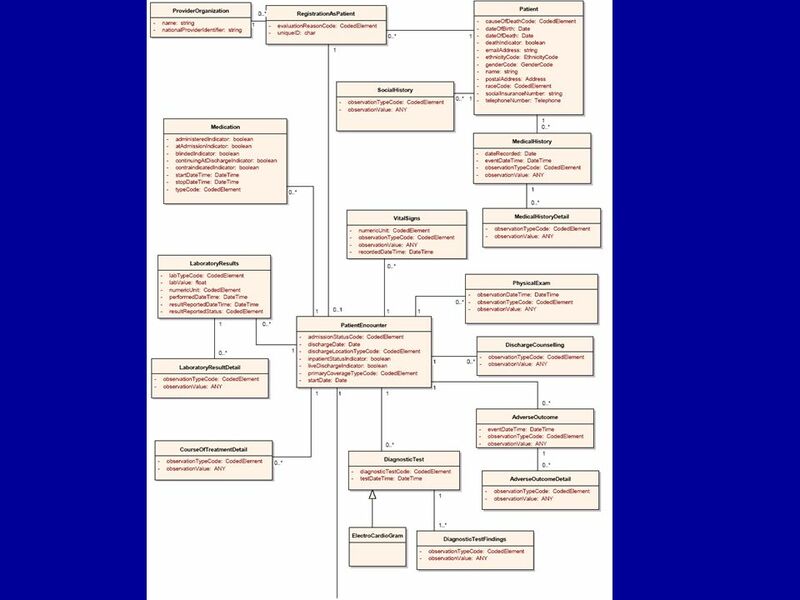 Depicting EHRs Immunization capability HL7 WGM – September 11, 2006 Immunization Storyboard project update. Cardiology Special Interest Group Presentation to Technical Steering Committee September 12, 2005. 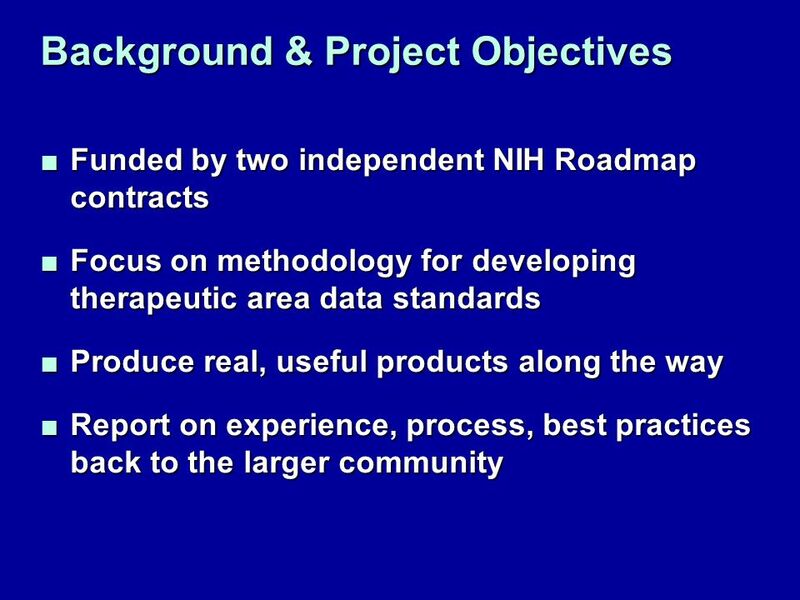 1 HL7 Jan 2007 Working Group MeetingsPharmacogenomics Update RCRIM TC Philip M. Pochon Covance Enterprise Architecture. 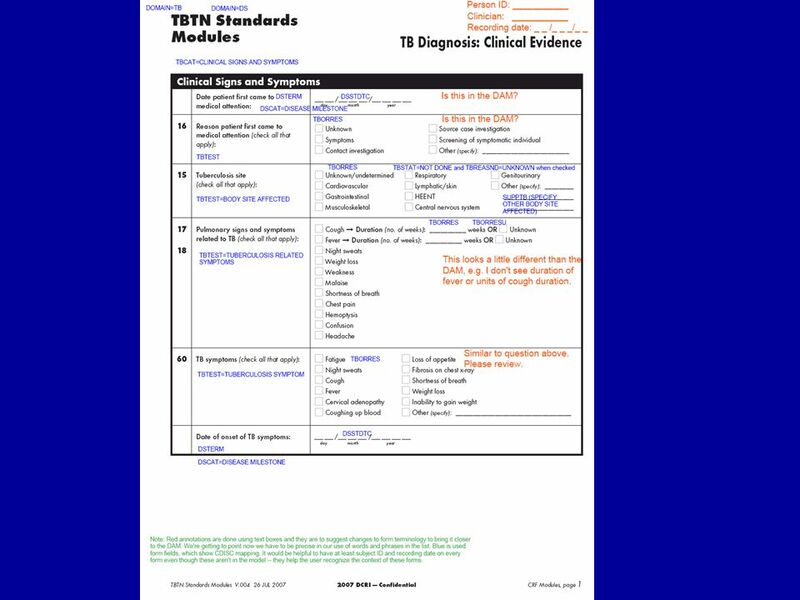 11 SHARE S&V Document and the Pilot An Update on CDISC SHARE January 2010 Bron W. Kisler. 2006 European Interchange: RCRIM Meeting RCRIM Vocab & CDISC CT Initiative: Overview and Update Bron Kisler, CDISC Terminology Team Lead. 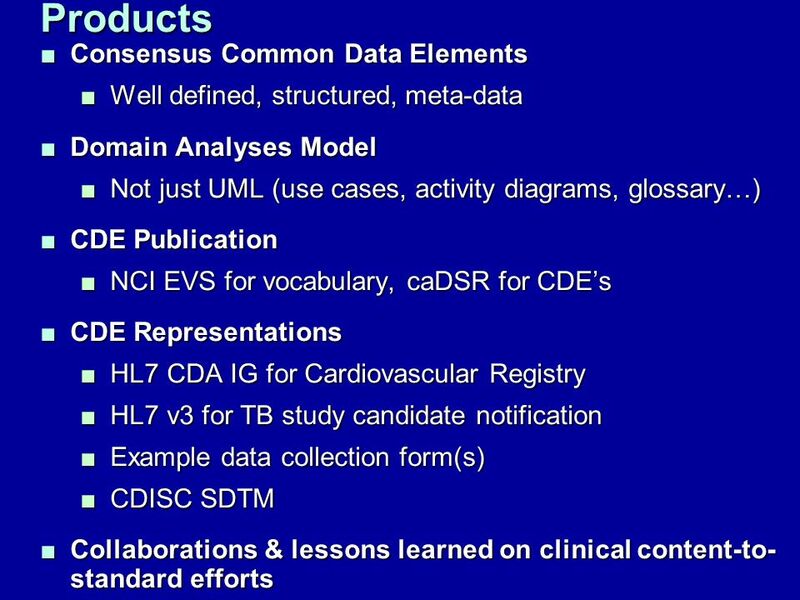 1 HL7 Jan 2010 Working Group MeetingsCTLAB Pharmacogenomics Update JOINT RCRIM and CG Session CTLAB Message Pharmacogenomics Results Overview. 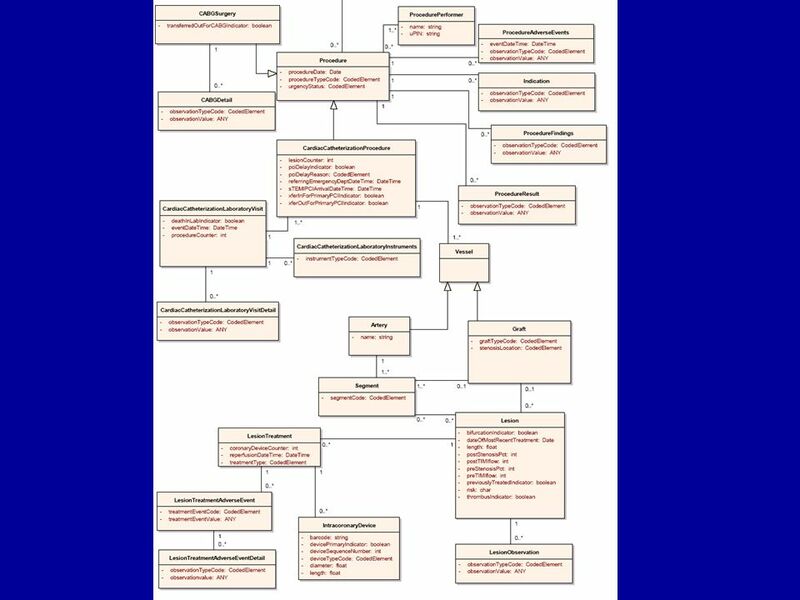 VHA Issue Paper: HL7 Methodology Discussion 11 January 2001 Government Projects SIG. HL7 Working Group Meeting Orlando, Florida 14 January 2009 1.